We saw these cute Fiat cars all over Italy. So adorable and compact. Even cuter than the Mini Coopers. And way cuter than the Smart Cars. 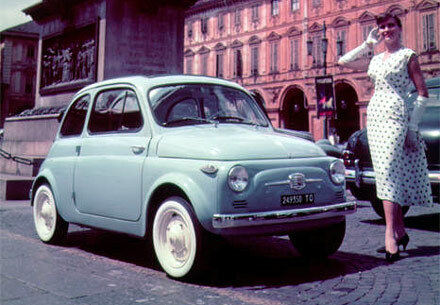 The Fiat 500 starts at $15,500 and gets up to 38 mpg on the highway and 30 mpg in the city.